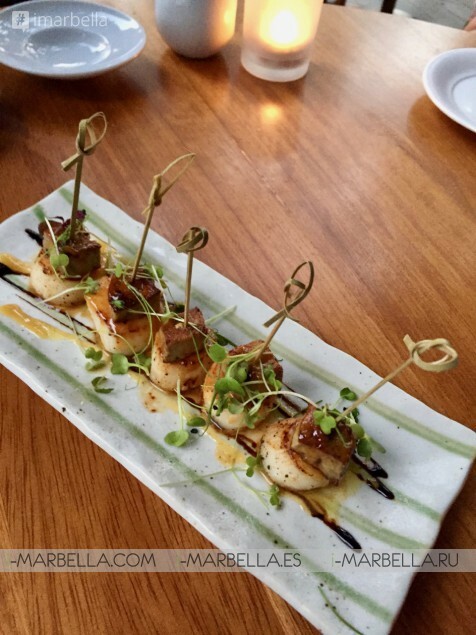 Nobu Restaurant Marbella opened this summer and here you have our review! We started with Cocktails and they were fantastic, Pacharan Pomelo, Lychee & Elderflower Martini (my favourite), Yuzu Kumquat Cooler, each drink costs 18 euro. My favourite drink was the Lychee @Ederflower Martini. From the food menu, we started with Shuko Snacks and Gold starters and the Nobu Style Sashimi, tacos Edamame, different sashimis - white fish, Salmon and 3 different kinds of Nobu Style Sashimi Tacos, Tuna, Salmon, Crab Tomato. 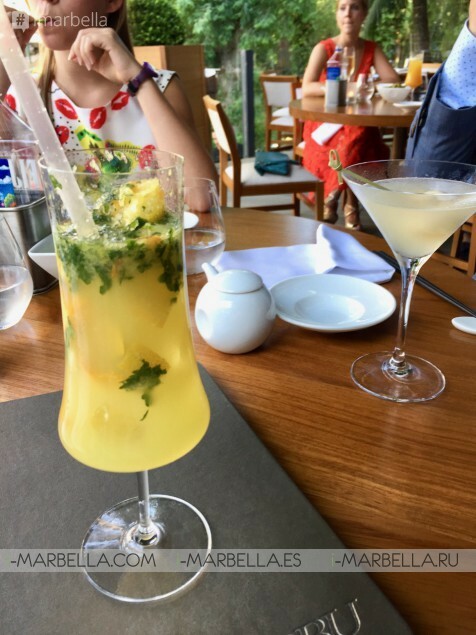 Nobu Restaurant Marbella has a wide selection of drinks like this one! We also had the Lobster Shiitake Salad with Spicy Lemon dressing and it is absolutely fantastic, the mix of lemon with chilli makes it amazing! Scallop, Foie Gras, and Vanilla Miso, Grilled Langoustine with Chilli Shiso Salsa, Black Cod with Miso (a legendary dish you have to try, trust me, you will love it), King Crab Tempura Florida Ponzu, Lobster with Wasabi Pepper Sauce, and I am glad to say they all live up the expectation of a Nobu Restaurant. The different mix of flavours is amazing and it will definitely leave you satisfied and asking for more. We tried Tiger Tempura Shrimps and they have a unique flavour that I can't describe with words but it is worth to try! From Sushi Maki selections we tried the Nobu House special, Soft Shell Crab, Tuna, Eel and Cucumber, Salmon Avocado, Shrimp tempura. 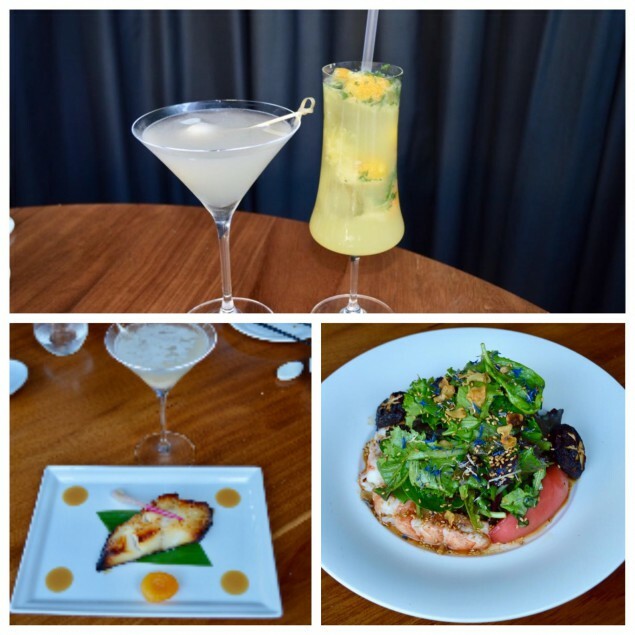 Of course in Nobu, there are different Sake selections also the Premium one and different champagnes and wines. You can also find a wide selection of non-alcoholic drinks and cocktails. The beverages menu is really impressive and it's thought to please everyone. Nobu is the world-renowned Japanese restaurant recognized for pioneering a new-style Japanese cuisine. Nobu Marbella is the 34th Nobu in the world and first Nobu in Spain. Be inspired and never forget the most important ingredient of all – Kokoro!